One of the strengths of Van Lang students is that they are dynamic in a variety of activities. The school organizes many activities at the School level, the Faculty level during the year for students to play, train skills and to be free to create, and also to associate students of all courses and faculties. These programs are organized by students themselves and are “typical” of Van Lang students. 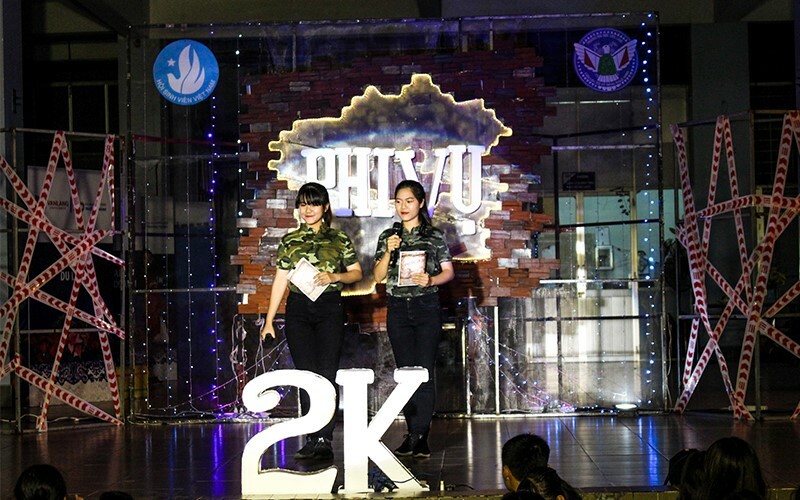 Competitions on football, volleyball, basketball, ping pong and chess at school level.Vietnam University Game (VUG). 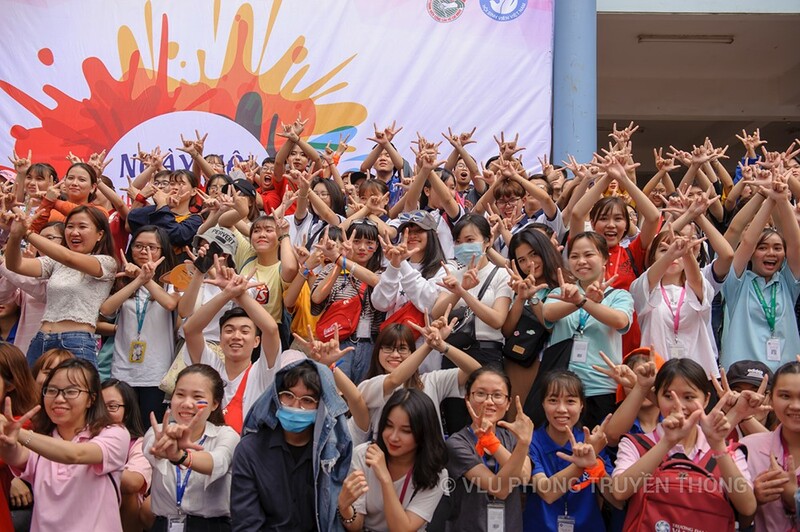 From July to August stage: Green Summer Campaign, Van Lang students join with the youth in HCMC. Besides, the programs at faculty level have become a proud “ brand” of many generations at Van Lang. “Architectural Festival” held by students of Faculty of Architecture, “Harmony” and “Red to Z” held by Faculty of Industrial Arts, ITSM music festival held by students of 3 faculties: Faculty of Information Technology, Faculty of Environment and Biotechnology; the Opera night held by Faculty of Foreign Languages; Gamma held by Faculty of Finance and Accounting and Auditing, the competition “ The Potential Beauty” hold by Faculty of Tourism, “Blue Tornado” by students of Accounting and Auditing…. In even years, Van Lang students of Architecture Faculty participate in the "National Architecture Festival". 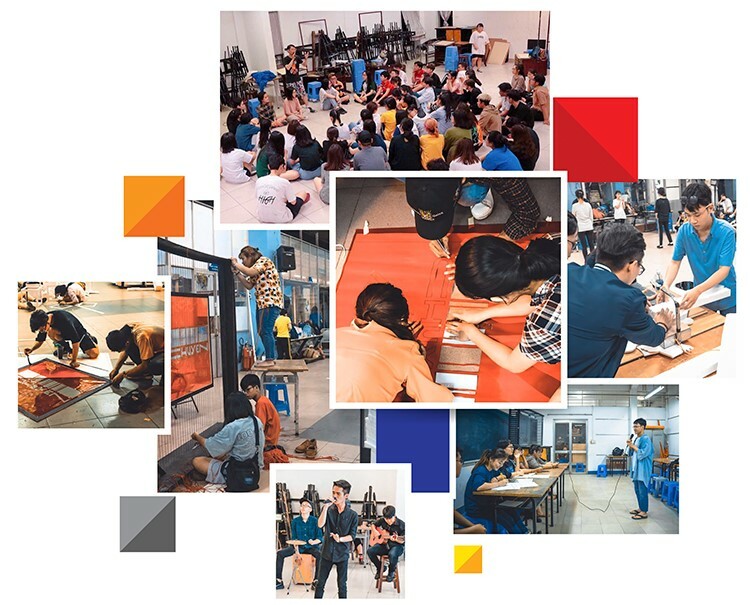 Students of the Faculty of Industrial Arts prepare for the traditional program – “Harmony”. Van Lang University currently has 10 clubs, teams, and groups at school level, and 16 clubs, teams and groups at faculty level. They belong to the field of academics, skills, culture, arts, sports,…New students can choose more than one club, team, or group to join so that they may develop their strengths, soft skills and socialize with those who have the same passion and talent; last but not least, they can relax after stressful classes. Some outstanding clubs and groups at school level include: Social Work Team, Event Club, “Blue Backpack Skills” club, SOL club, Football club, Volleyball club, Badminton club, Chess club,…Each faculty has at least one academic club for students to exchange knowledge, participate in extracurricular activities, and practice foreign language. At the beginning of each school year, these clubs, teams and groups all recruit new members. Since 2017, the Student Union has held the Club's Day- which is the Festival of Clubs. This is the opportunity for freshmen to integrate into the training environment, socialize with students of previous course, and seek for the "small house" for the extra activities. The Social Work Club is preparing to prepare Mid-Autumn lanterns in the 6th “Mid-Autumn Festival for Children” for An Giang children - a traditional program of the club. The Blue Backpack Skills Club- a club specializing in skills training for students - welcomes new members in 2018.